Professionaly and quickly fill oval lip tubes! 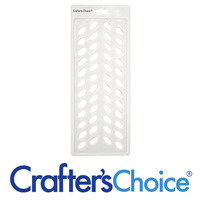 This video demonstrates how quick and easy it is to fill forty-eight lip tubes using the Crafter's Choice - Oval Silicone Lip Tube Filling Tray (3002). We love how smooth and flat the lip product sits in the tube using this method.